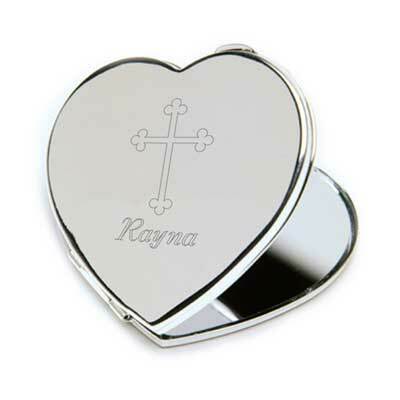 This pretty silver-plated Personalized Inspirational Heart Compact Mirror with engraved cross reminds her of her faith each time she uses it. An excellent keepsake gift, the heart-shaped compact is just the right size for a small purse or pocket includes a lovely cross and room for one line of personalization. Measures 2 1/2"x 2 1/4". 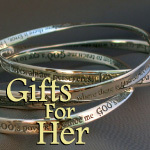 Personalized with one line of up to 15 characters.